The development of knowledge of global biogeography of the oceans from sixteenthcentury European voyages of exploration to present-day use of satellite remote sensing is reviewed in three parts; the pre-satellite era (1513–1977), the satellite era leading to a first global synthesis (1978–1998), and more recent studies since 1998. The Gulf Stream was first identified as a strong open-ocean feature in 1513 and by the eighteenth century, regular transatlantic voyages by sailing ships had established the general patterns of winds and circulation, enabling optimisation of passage times. Differences in water temperature, water colour and species of animals were recognised as important cues for navigation. Systematic collection of information from ships’ logs enabled Maury (The Physical Geography of the Sea Harper and Bros. New York 1855) to produce a chart of prevailing winds across the entire world’s oceans, and by the early twentieth century the global surface ocean circulation that defines the major biogeographic regions was well-known. This information was further supplemented by data from large-scale plankton surveys. The launch of the Coastal Zone Color Scanner, specifically designed to study living marine resources on board the Nimbus 7 polar orbiting satellite in 1978, marked the advent of the satellite era. Over subsequent decades, correlation of satellite-derived sea surface temperature and chlorophyll data with in situ measurements enabled Longhurst (Ecological Geography of the Sea. Academic Press, New York 1998) to divide the global ocean into 51 ecological provinces with Polar, Westerly Wind, Trade Wind and Coastal Biomes clearly recognisable from earlier subdivisions of the oceans. Satellite imagery with semi-synoptic images of large areas of the oceans greatly aided definition of boundaries between provinces. However, ocean boundaries are dynamic, varying from season to season and year to year. More recent work has focused on the study of variability of currents, fronts and eddies, which are often the focus of high biological productivity. Direct tracking of animals using satellite-based systems has helped resolve the biological function of such features and indeed animals instrumented in this way have helped the study of such features in three dimensions, including depths beyond the reach of conventional satellite remote sensing. Patterns of surface productivity detected by satellite remote sensing are reflected in deep sea life on the sea floor at abyssal depths >3,000 m. Satellite remote sensing has played a major role in overcoming the problems of large spatial scales and variability in ocean dynamics and is now an essential tool for monitoring global change. 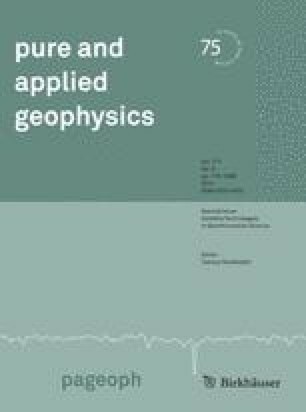 This paper is based on a talk given at the conference on “Main Problems of Contemporary Cartography 2012, Satellite technologies in GIS and cartography” held in Wrocław, Poland, 28–30 March 2012. I thank Dr. Tomasz Niedzielski and the organisers for their support. Carlson C.A., Ducklow H.W., and Michaels A.F. (1994) Annual flux of dissolved organic carbon from the euphotic zone in the northwestern Sargasso Sea. Nature 371, 405–408. doi: 10.1038/371405a0. Moisan T.A. H., Sathyendranath S. and Bouman H.A (2012). Ocean Color Remote Sensing of Phytoplankton Functional Types, Remote Sensing of Biomass-Principles and Applications, Dr. Lola Fatoyinbo (Ed. ), ISBN: 978-953-51-0313-4, InTech, doi: 10.5772/17174. Available from: http://www.intechopen.com/books/remote-sensing-of-biomass-principles-and-applications/remote-sensing-of-marine-phytoplankton-biomass. Siegel D.A., Peterson P., McGillicuddy D.J., Martitorean and Nelson N.B. (2011) Bio‐optical footprints created by mesoscale eddies in the Sargasso Sea. Geophysical Research Letters 38: doi: 10.1029/2011GL047660. VLIZ (2009). Longhurst Biogeographical Provinces. Available online at http://www.vliz.be/vmdcdata/vlimar/downloads.php. Consulted on 2012-08-20.